Rob Calhoun is a self-taught artist who lives and works on Vancouver Island. 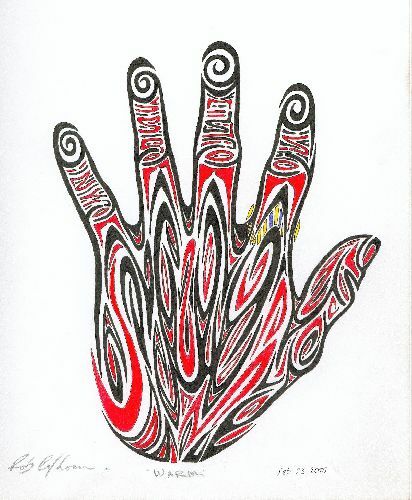 He started drawing when he was a small child and has continued his interest in art ever since. His work is done with graphic pens and artist pencils. The smaller stylistic images take four days to two weeks to complete. His larger more complex images can take up to one year to complete. 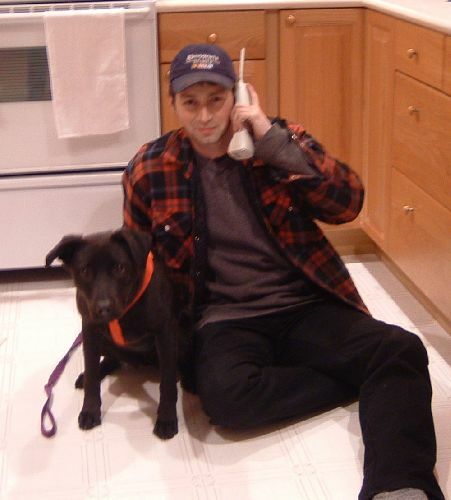 Rob's work has won awards in juried shows. His work is owned by collectors across Canada. "Warm" Pen and art pencils on acic-free paper, 8 1/2" x 11". Price unframed $150.00. Artwork is copyright of Rob Calhoun. This is the first in Rob's "Hand" series. 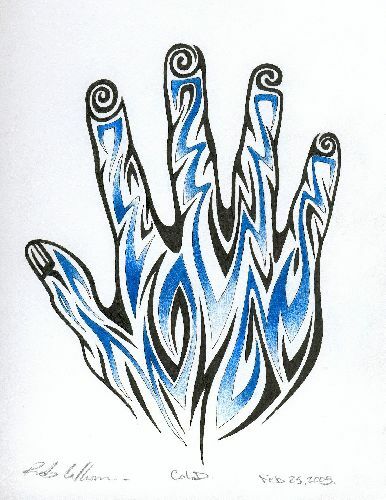 The idea for this series came about as Rob was drawing his hand one day. "Cold" Pen and art pencils on acid-free paper, 8 1/2" x 11". Price unframed $150.00. Artwork is copyright of Rob Calhoun. This is the second in Rob's "Hand" series. 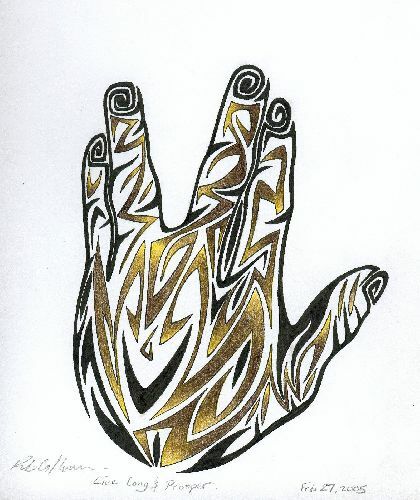 "Live Long and Prosper" Pen and art pencils on acid-free paper, 8 1/2" x 11". Price unframed $150.00. Artwork is copyright of Rob Calhoun. This is the third image in Rob's "Hand" series. 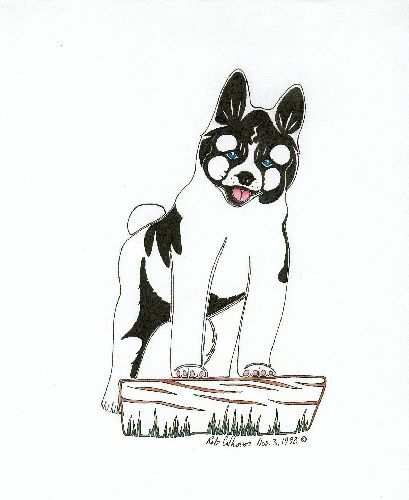 "Akita" Pen and artist pencils on acid-free paper, 8 1/2" x 11". Price unframed $100.00. Artwork is copyright of Rob Calhoun.